Oceanographers, marine biologists and geologists are the scientists most commonly associated with studying changes in sea ice. 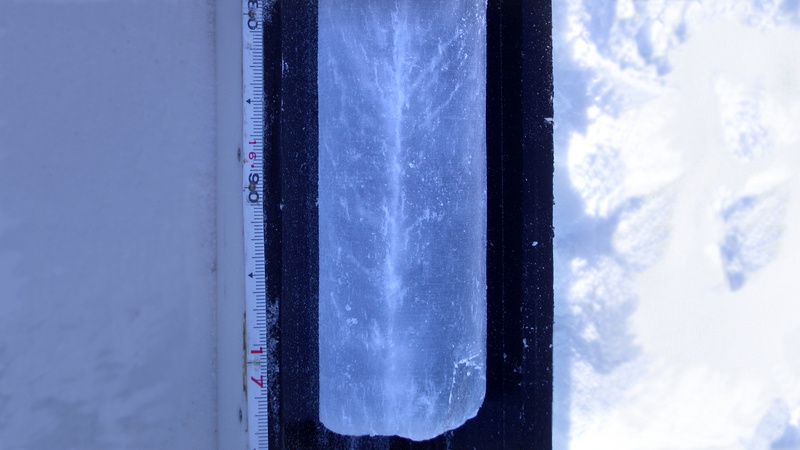 But these days, it just might be a mathematician drilling ice cores in the Antarctic. 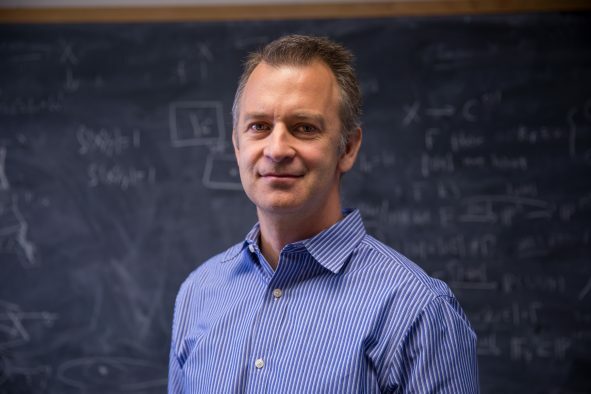 With 17 trips to the Arctic and Antarctic under his belt, Ken Golden of the University of Utah has made a career of helping better understand the mathematics of what goes on inside the thick layers of sea in those regions. Understanding sea ice and how it behaves could advance research across a wide range of sciences. For instance, it could help scientists predict how fast sea ice will melt, the impact of shrinking polar ice caps on Earth’s climate system, or lead to better composite materials based on the structure of sea ice. And that’s just the beginning. These interactions between sea ice and its environment change the ice and how it behaves. That’s because sea ice, although it appears to be solid, is actually a composite material, made up of more than one ingredient. Columnar sea ice, which is more common in the Arctic, is composed of vertically-oriented, pure ice crystals jammed into uncomfortably close quarters, with tiny pockets of brine filling out the sub-millimeter nooks and crannies. 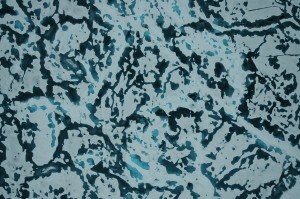 Granular sea ice, more commonly found in the Antarctic, is finer and more granular in structure, but is similarly composed of ice crystals and brine. 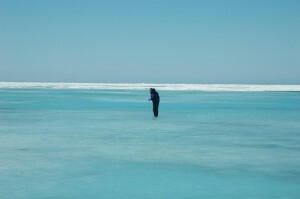 A rubber-suited Ken Golden wades into icy Arctic waters to measure the depth of this melt pond. Understanding how environmental conditions like temperature and incoming solar radiation affect percolation, or the movement of water up and down through sea ice, could help scientists better predict how sea ice might respond to changes in its environment. The basic physical laws that govern the “life of ice” in Golden’s work are fairly clear, but understanding the intricate interactions between sea ice and its environment requires penetrating research into the hierarchy of those phenomena, Roytburd said. Ask Golden to sum up the most fascinating thing about sea ice and he replies: Percolation–the movement of water up and down through the complex microstructure of the ice. Percolation, he says, is essential for the ice pack’s health. 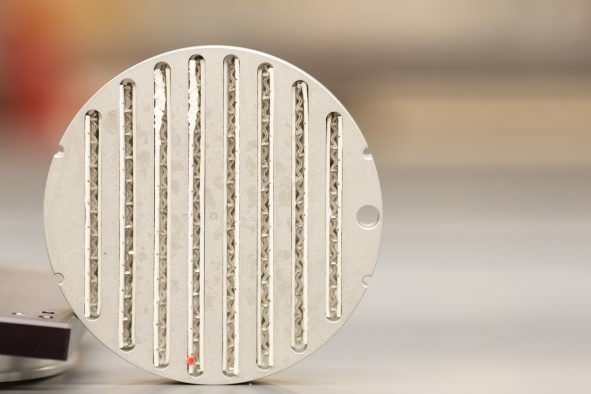 Percolation also brings vital nutrients up from the ocean, helping sustain algae that live within the brine inside the ice. Algae inside sea ice might sound isolated from the larger marine ecosystem, but that isn’t the case. A thin crust of snow hides sea ice in various stages of melting and re-freezing. 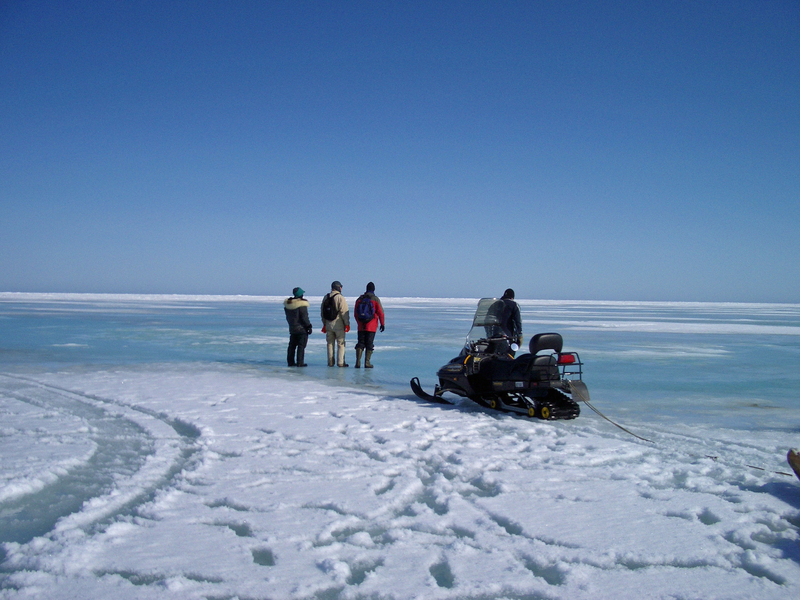 Sea ice temperature and salinity are critical to determining whether or not percolation will occur. Columbia University marine ecologist Craig Aumack researches how algae living in the sea ice off the coast of Barrow, Alaska, connect to the surrounding marine ecosystem. Algae start to bloom when temperatures warm in spring, he says. That’s where they become food for algae-eaters that, in turn, contribute to the larger food cycle in the ocean. Ice-dwelling algae have carved out a precarious existence inside sea ice, relying on percolation for food. But whether or not fluid percolates through the ice depends on a delicate balance of temperature and salinity within the ice itself. Tilt the balance this way or that, and percolation does not occur. Field research on sea ice has proved riskier than other types of data collection. Golden and his colleagues have faced natural threats, ranging from life-threatening cracks in sea ice to equipment issues. In 1998, Golden was on the Australian ice breaker Aurora Australis, about 12 hours into a journey inside Antarctica’s ice edge, when a fire alarm went off. There was a fire in the engine room and the flames were out of control. The nearest help was hours away, with nothing for miles but water and ice. It took a few nerve-wracking hours, but the crew finally controlled the fire with no injuries. Pathways through sea ice. Ice core taken from Arctic sea ice shows where brine pockets have connected to form channels, with a distinctly visible pathway in the middle. Channels and pathways like these allow sea water or fresh melt water to move, or percolate, through the sea ice. At the university, Golden works with students enthralled with polar ice and the scientific questions it poses. 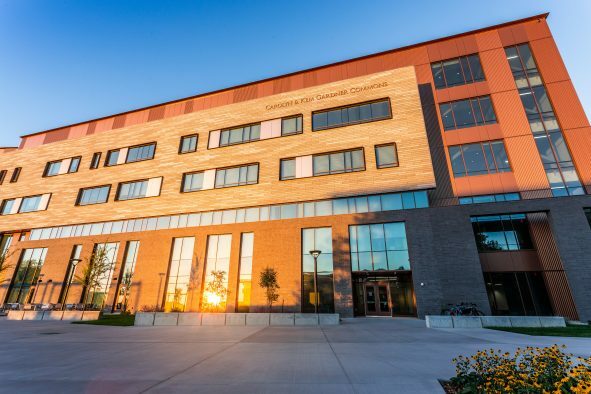 His work, from demonstrating a meter-long ice-core drill to organizing research trips to the polar regions, attracts students from across disciplines including mechanical engineering, bioengineering, electrical engineering, physics and chemistry. The study of sea ice, Golden says, sits at the nexus of many different areas of study. 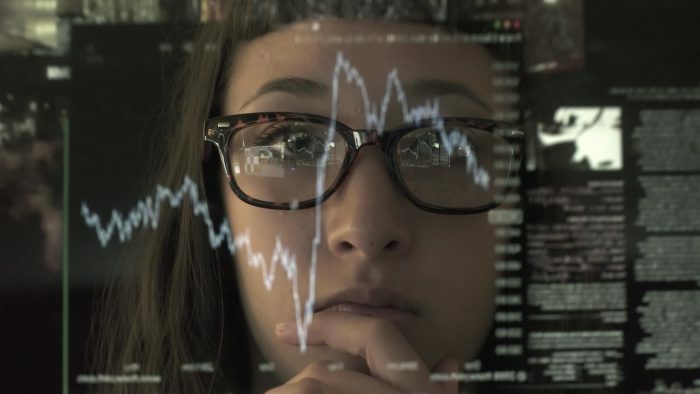 “I think ultimately what we’d really love to do is to bring more people into mathematics and show how mathematics is really the operating system of science and engineering,” he says. 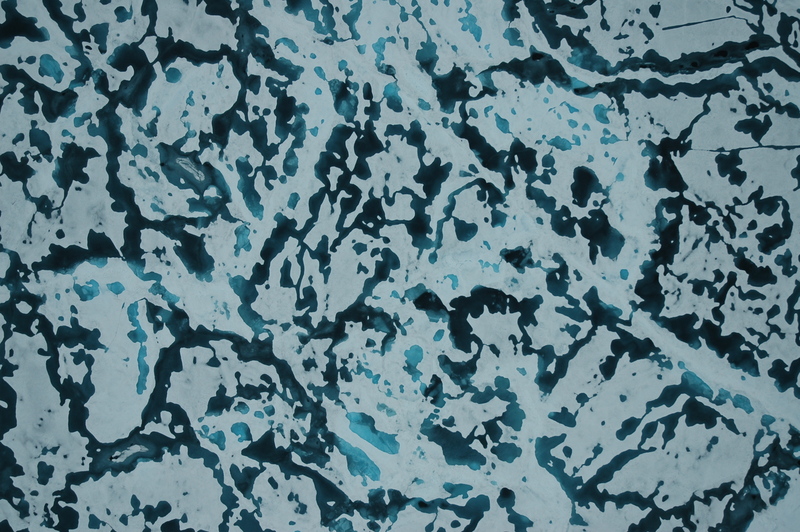 The albedo effect: Networks of melt ponds create darker areas on the otherwise-reflective surface of sea ice. The result? 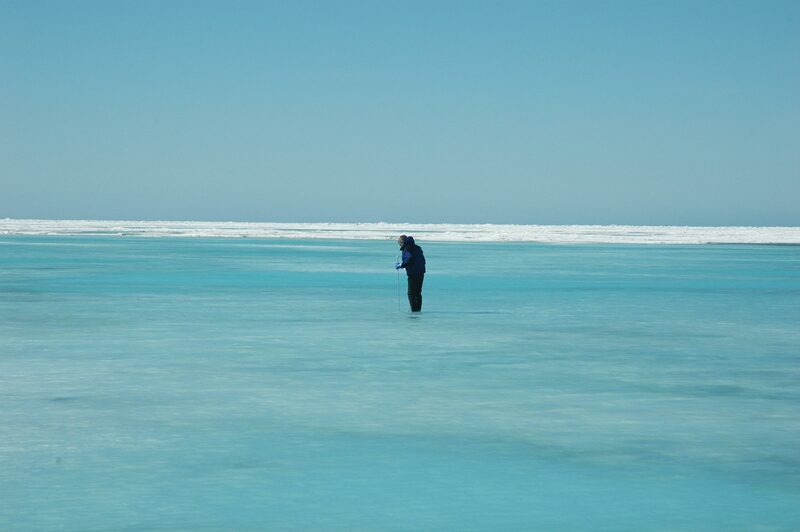 Whereas the white surface of the sea ice reflects solar radiation, the darker melt ponds absorb it. More advanced models of the evolution of melt ponds over the polar summer could help researchers improve long term projections of sea ice melt, and better understand the role of sea ice in Earth’s climate system.